Another 5 individual kennels have been completed and ready to be used since Friday. 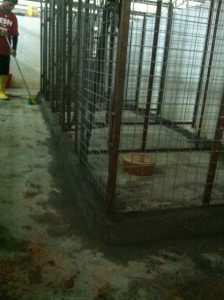 These additional kennels were built in the hopes that the furkids will be more comfortable in them rather than in cages. If you would like to help us build more kennels, kindly donate towards our Shelter’s account and do email us so that we could acknowledge your kind contribution & support.